4th Maritime Security Operations, and theater security cooperation efforts in the region and in support of Operation Inherent Resolve (OIR), strike operations in Iraq and Syria as directed. “Carrier Air Wing 17 Squadrons, including the Lemoore, California-based "Stingers" of Strike Fighter Squadron (VFA) 113, the "Mighty Shrikes" of VFA 94, the "Redcocks" of VFA 22; the Beaufort, South Carolina-based "Checkerboards" of Marine Fighter Attack Squadron (VMFA) 312; the Whidbey Island, Washington-based "Cougars" of Electronic Attack Squadron (VAQ) 139; the Point Mugu-based "Sun Kings" of Carrier Airborne Early Warning Squadron (VAW) 116; the San Diego-based "Providers" of Fleet Logistics Support Squadron (VRC) 30, the "Indians" of Helicopter Sea Combat Squadron (HSC) 6, and the "Battlecats" of Helicopter Maritime Strike Squadron (HSM) 73. Theodore Roosevelt, the flagship of Carrier Strike Group (CSG) 9, Rear Adm. Steve Koehler, commander, with Destroyer Squadron 23, while ship’s consist of USS Bunker Hill (CG-52), USS Halsey (DDG-97), USS Sampson (DDG-102) and USS Preble (DDG-88) for a routine deployment. Operating under operational control of the 3rd Fleet, to conduct bilateral exercises in the Indo-Asia-Pacific region to include anti-submarine warfare, maneuvering drills, gunnery exercises, and visit, board, search, and seizure (VBSS), on her 6th Maritime Security Operations (MSO). Ports of call include: Naval Base Guam; Manila, Philippines and Da Nang, Vietnam. Harry S. Truman Carrier Strike Group (HSTCSG) deploys as a ongoing rotation of U.S. forces supporting maritime security operations in waters around the world, on her 6th Maritime Security Operations (MSO), supporting operations that are focused on reassuring regional partners of the United States' commitment to security, which promotes stability and global prosperity and 2nd Operation Inherent Resolve (OIR) is the U.S. military operation name for the military intervention against the Islamic State of Iraq and the Levant (ISIL), including both the campaign in Iraq and the campaign in Syria. Effective 22 Sep 2015, III Corps is responsible for Combined Joint Task Force- Operation Inherent Resolve (CJTF-OIR). [ CJTF-OIR changes command accessdate=2015-11-01. “The HSTCSG consists of the flagship USS Harry S. Truman (CVN-75) with Rear Adm. Gene Black, Commander, Carrier Strike Group Eight (CSG 8) embarked staffs of Carrier Strike Group Eight (CSG 8), Carrier Air Wing (CVW) 1 and Destroyer Squadron (DESRON) 28; embarked squadrons of CVW 1; guided-missile cruiser USS Normandy (CG-60); and DESRON 28 guided-missile destroyers USS Farragut (DDG-99), USS Forrest Sherman (DDG-98), USS Bulkeley (DDG-84), USS Arleigh Burke (DDG-51), USS Jason Dunham (DDG-109), and USS The Sullivans (DGG-68). The Sachsen-class German frigate FGS Hessen (F-221) is also operating as part of the strike group during the first half of the deployment. USS Jason Dunham and USS The Sullivans are slated to deploy at a later date and will rejoin the strike group in theater. Squadrons of CVW 1, commanded by Capt. John Perrone, that will embark Truman during deployment include Strike Fighter Squadron (VFA) 11 "Red Rippers," VFA 211 "Checkmates," VFA 81 "Sunliners," VFA 136 "Knighthawks," Electronic Attack Squadron (VAQ) 137 "Rooks," Carrier Airborne Early Warning Squadron (VAW) 126 "Seahawks," Helicopter Maritime Strike Squadron (HSM) 72 "Proud Warriors," Helicopter Sea Combat Squadron (HSC) 11 "Dragon Slayers" and a detachment from Fleet Logistics Support Squadron (VRC) 40 "Rawhides. "” (Ref. 72, 76, 84A, 382 & Story Number: NNS180411-19- Release Date: 4/11/2018 3:25:00 PM - From USS Harry S. Truman Carrier Strike Group Public Affairs, NORFOLK (NNS)). “The aircraft carrier USS Kitty Hawk (CV-63) arrived at Bremerton, Washington in September and was informally retired on 31 January 2009 and decommissioned on 12 May 2009 at Puget Sound Naval Shipyard & Intermediate Maintenance Facility in Bremerton, Wash., after more than 48 years of service. Members of the final crew lowered the ship's commissioning pennant from the main mast and the U.S. Flag and First Navy Jack from their staffs after Kitty Hawk Commanding Officer Capt. Todd Zecchin closed out the ship's deck log. "It's hard to capture the feeling in words," said Zecchin. "This is the second aircraft carrier that I've decommissioned, and it doesn't hit you immediately until you've lowered the commissioning pennant for the last time." Kitty Hawk's officers of the deck have used the log to track shipboard activities, both in port and at sea, since commissioning April 29, 1961. Zecchin then transferred the ship to the control of shipyard commander Capt. Mark Whitney during a small ceremony aboard the ship. "She has served her country for almost 50 years – 48 years and 13 days, across the globe," said Zecchin. "There have been a lot of Sailors that have crossed her decks, a lot of airmen that have flown off and on her decks." Kitty Hawk arrived in Bremerton Sept. 2, 2008 to prepare for its eventual decommissioning. The ship spent the previous 10 years operating from Fleet Activities Yokosuka, Japan. While operating from Japan as the Navy's only forward deployed aircraft carrier, Kitty Hawk took part in dozens of exercises and operations, including being the first aircraft carrier to take part in Operation Enduring Freedom in the Arabian Sea, and her aircraft took part in the opening strikes of Operation Iraqi Freedom. She was replaced by USS George Washington (CVN 73), which is only the fourth U.S. aircraft carrier to be forward deployed from Yokosuka, replaced by USS George Washington (CVN-73), which is only the fourth U.S. aircraft carrier to be forward deployed from Yokosuka. Kitty Hawk's voyage to Bremerton started when the ship left Fleet Activities Yokosuka, Japan, May 28, 2008. Since then, the ship made her final port visit to Guam, then on to Hawaii, where it took part in the 21st biennial Rim of the Pacific exercise with nine other nations. On her way to Bremerton, Kitty Hawk made a final stop at Naval Air Station North Island, Calif., where she was homeported for more than 25 years. Dozens of former crewmembers, including 38 plankowners – members of the 1961 commissioning crew – rode the ship from San Diego to Bremerton on its final at-sea voyage. The decommissioning brings back a lot of memories for the 100,000 or so Sailors who served aboard Kitty Hawk as part of ship's company or air wing. "In January of 1965 at the young age of 17, I came on board the USS Kitty Hawk right out of boot camp," said Kitty Hawk Veterans Association President Jim Melka. "Being from a small town in Iowa, I had never seen anything so massive. The Kitty Hawk was home for me for the next 32 months. I learned a lot in those 32 months. "The Hawk is a great ship and has been very well taken care of by our young men and women in today's Navy," he said. "I'm very proud to have served on the USS Kitty Hawk." Plankowner Jerry Warren made Kitty Hawk's first and final at-sea voyages. "I really felt proud to … say I served on the USS Kitty Hawk, the oldest active ship in the Navy," said Warren, the veteran's association vice president. "She will always have a place in my heart. She has been, and still is, a great ship with a lot of history behind her." Kitty Hawk had been the Navy's oldest active warship since 1998 and turns over the title to the nuclear-powered aircraft carrier USS Enterprise (CVN-65). Kitty Hawk was also the Navy's last remaining diesel-fueled aircraft carrier. Throughout its lifetime, Kitty Hawk has had 407,507 arrested carrier landings and 448,235 catapult launches. Now decommissioned, the ship will remain in Bremerton for the foreseeable future as part of the Navy Inactive Ships Program” (Ref. 1-Kitty Hawk, 72, 76, 84A, 331 & Navy Decommissions USS Kitty Hawk - Story Number: NNS090512-08 - Release Date: 5/12/2009 5:37:00 PM - From Kitty Hawk Public Affairs, BREMERTON, Wash. (NNS)). “On 1 December 2005, the United States Navy announced that George Washington would replace Kitty Hawk in 2008 as the forward-deployed carrier in Japan and it would also assume host carrier duties for forward deployed Carrier Air Wing 5” (Ref. KK-). “In March 2007, the Navy announced that Captain Todd Zecchin, the captain responsible during the decommissioning of John F. Kennedy, had been tasked with overseeing the decommissioning of Kitty Hawk” (Ref. KK-). “Kitty Hawk left Yokosuka on 28 May 2008 to begin the decommissioning process” (Ref. KK-). “However on 22 May, a fire seriously damaged George Washington, causing the ship to go to San Diego for repairs. Kitty Hawk participated in the RIMPAC exercise near Hawaii in George Washington's place. The turnover between the two carriers was postponed and took place in August” (Ref. KK-). “After the turnover, Kitty Hawk arrived at Bremerton, Washington in September and was informally retired on 31 January 2009” (Ref. KK- & KK-). “Kitty Hawk, the USN's last oil-powered aircraft carrier, was finally decommissioned on 12 May 2009” (Ref. KK-). “A group based in Wilmington, North Carolina is lobbying to bring the ship to the city after her obligatory time in the Navy Inactive Ships Program in order to serve as a floating museum alongside the battleship North Carolina” (Ref. KK-, KK- & KK-). “The Navy will maintain Kitty Hawk in reserve until 2016, when the Gerald R. Ford is commissioned” (Ref. KK- & KK-). “In January 2013, a group from Pensacola, Florida, which had originally wanted to obtain Forrestal, shifted its efforts to Kitty Hawk, due to that ship's superior condition” (Ref. KK-). “Enterprise was deactivated on 1 December 2012 at Norfolk Naval Station, Virginia. The deactivation of Enterprise resulted in a one-time increase of approximately $857.3 million in depot maintenance costs for the U.S. Navy's operation and maintenance budget for Fiscal Year 2013” (Ref. E-). “Enterprise will be the first nuclear-powered aircraft carrier to be decommissioned” (Ref. E-). “Naval enthusiasts have requested that Enterprise be converted into a museum” (Ref. E- & E-). “While the costs of doing so regarding her nuclear reactors has yet to be calculated by the United States Department of Defense, by 2012 they had been deemed too expensive to make such an effort practical, in addition to the fact that the ship will need to be partially dismantled anyway to remove the eight reactors safely” (Ref. E-). “A petition had also been set up for the next carrier (CVN-80) to be named as the ninth USS Enterprise” (Ref. E-). “At her inactivation ceremony, Secretary of the Navy Ray Mabus announced in his taped message that the next Ford-class carrier, CVN-80 would indeed be named "Enterprise"” (Ref. E-). “Speaking at the ceremony was Chaplain John Owen, Captain William C. Hamilton, Jr. (CO), Vice Admiral David H. Buss (Commander, Naval Air Force Pacific), Admiral John Richardson (Director, Naval Reactors), Matt Mulherin (President, Newport News Shipbuilding), ADM Jonathan W. Greenert (Chief of Naval Operations), a video speech from Ray Mabus, and the Master of Ceremonies was the ship's Executive Officer. SECNAV had to deliver his speech via taped video as he was in China at the time. VIPs present for the ceremony included several former Commanding Officers, a granddaughter of the ship's sponsor, and a former A-6 pilot who had been captured in North Vietnam returning to the ship for the first time that day since he launched. He received a standing ovation at his introduction. Actor William Shatner was scheduled to appear, but canceled. During the ceremony, the representative of the ship's sponsor received a flag flown from the ship during its last underway and a piece of wooden railing leading to the CO's inport cabin. Also the CNO was presented with a time capsule produced by ship's crew with artifacts and pieces of the ship. Enterprise crew and visitors were encouraged to add the items or messages the week before inactivation. While presenting the capsule, Commanding Officer William C. "Boomer" Hamilton informed the CNO that the only stipulation would be that the capsule could only be opened by the crew of the next ship to be named Enterprise. When it was announced shortly after that CVN-80 would be the 9th Navy vessel to carry the name "Enterprise", the entire crowd cheered and gave a standing ovation. On 8 February 2013, the United States Department of Defense announced that a number of nuclear projects would have to be postponed until the upcoming budget sequestration issue was resolved. These include the planned de-fuelling of Enterprise as well as mid-life overhauls (including nuclear refuelling) for two Nimitz-class ships” (Ref. E-). “The contract for defueling Enterprise was eventually awarded to Huntington Ingalls Industries in June 2013” (Ref. E-). “Newport News Shipbuilding will deactivate and de-fuel the ship, which will then be formally decommissioned once all nuclear fuel has been removed” (Ref. E- ). “The process started at the downtown piers in Newport News in order to set the conditions required in the propulsion plant for fuel removal. Huntington Ingalls Industries moved the ship on Saturday, 4 May 2015 from Pier 2 to her original birthplace, Dry Dock 11. Newport News employees will continue the defueling process in the dry dock. Once the Navy completes fuel removal, the ship will be prepared for open ocean tow to Bremerton, Washington. There, the remaining parts of the ship that are associated with the reactor plant (reactor compartments and associated piping) will be removed and shipped to Hanford site for disposal. The final pieces of the hull are scheduled to be scrapped by 2025. It remains possible the ship's island could be removed and used as a memorial” (Ref. E-). “As of June 2013, the ship has had all antennas, radars (including the main-mast on top of the island), weapons launchers, anchors, and other miscellaneous items removed from her exterior. Additionally, the inside of the ship has been removed of much gear that can be reused on other ships. All spaces outside of the propulsion block and some office space in the hangar bay have been locked and secured. Certain hatchways and passageways have been welded shut. In October 2014, Newport News Shipbuilding announced that one of Enterprise's anchors, removed from the ship during breaking up, had been transferred to the Nimitz-class Abraham Lincoln during her RCOH” (Ref. E-). “The USS Enterprise (CVN-65) will inactivate on December 1, 2012, after 51 years of legendary service. A group of Navy veterans want to preserve the USS Enterprise's history, but it appears they'll be doing it without the ship itself. The veterans learned in March that making a museum out of the aircraft carrier, the largest in the U.S. fleet and the first to be powered by nuclear reactors, isn't an option. More recently they learned that a more modest effort to preserve the ship's island, also wouldn't fly. And for the 10 Nimitz-class carriers in the 11-ship U.S. fleet, a future as a museum seems unlikely. "Inactivation of nuclear-powered aircraft carriers requires removing large sections of ship structure to facilitate reactor compartment removal and disposal," Rear Adm. Thomas Moore, the Navy's program executive officer for carriers, said in a statement emailed to the Daily Press. Converting any one of the carriers, all built in Newport News, Moore wrote, would likely "cost tens of millions of dollars." The Navy already ruled out making a museum out of the Enterprise. At 50 years old, the ship is the oldest carrier in the fleet. Its inactivation ceremony -- a retirement party for ships -- is set for Dec. 1. After that the ship will be defueled and stripped down in Newport News, and eventually towed to Puget Sound, Wash., where its eight reactors will be taken out of the ship for disposal” (Ref. 6-SH). Enterprise was officially decommissioned on February 3, 2017, after over 55 years of service, and with the completion of an extensive terminal offload program. She was stricken from the Naval Vessel Register the same day. Ref. 20 - Brad Lendon. "Carrier turns donor: USS Enterprise gives anchor to USS Lincoln". CNN.com. Retrieved 3 October 2014. Ref. 21 - "USS Enterprise (CVN 65) Official Web Site". Public.navy.mil. Retrieved 20 April 2013. Ref. 22 - "World's First Nuclear-powered Aircraft Carrier, the Big E, makes final voyage". foxnews.com, 10 March 2012. As originally concieved, the purpose of the USS America Museum Foundation, Inc, was to secure the actual ship, to have her placed on "donation hold" by the United States Navy, and then to begin the process of having her refit as a combination museum ship to exhibit memorabilia and other artifacts of her long and honorable career, as well as using the ship's facilities to form a vocational training facility, for a new generation of American Youth to learn the skills and trades necessary for the operation of such a "floating city", for, as all of us who served aboard her know, there was no trade or occupation left out necessary to run a small city of over 5000 individuals, for months at a time. Sadly, we were unsuccessful, and on 19 April, 2005 the USS America left her pier at the Inactive Ships Facility, located in Philadelphia, Pa., for the last time” (Ref. 7-SH - 1-America, 6, 72, Message from NAVSEA, May 16, 2005 & cvn78.com). “Before decommissioning she made a number of port calls to allow the public to "say farewell" to her, including a stop at her "homeport" Boston Harbor” (Ref. JFK-). “John F. Kennedy also took part in the 2005 New York City Fleet Week festivities at the Intrepid Sea-Air-Space Museum” (Ref. JFK-). “She was decommissioned in Mayport, Florida on 23 March 2007” (Ref. JFK-). “The ship's unique in-port cabin, which was decorated by Jacqueline Kennedy with wood paneling, oil paintings, and rare artifacts, was disassembled, to be rebuilt at the National Museum of Naval Aviation at Naval Air Station Pensacola, Florida” (Ref. JFK-). “John F. Kennedy was towed from NS Mayport, Fla., and taken to NS Norfolk, instead of a mothball berth at the old Philadelphia Naval Shipyard, as originally planned. The trip is expected to take about five days. 31 July 2007, arrived at Naval Station Norfolk, Va. She remained in Norfolk until a shoaled area near Pier 4 in Philadelphia could be dredged to enable the ship to safely dock. On 17 March 2008 at about 1700, she was seen leaving Norfolk Naval Station under tow of the tug Atlantic Salvor. On 22 March 2008 Kennedy arrived, with the afternoon high tide, at the Naval Inactive Ship Maintenance Facility in Philadelphia” (Ref. JFK-). “She is currently laid up in the Philadelphia reserve fleet” (Ref. JFK-). “In November 2009, the Navy placed Kennedy on donation hold for use as a museum and memorial” (Ref. JFK-). “A report in the Boston Herald newspaper on 26 November 2009 mentioned the possibility of bringing Kennedy to the Boston, Massachusetts area, as a museum or memorial at no cost to the city, if desired” (Ref. JFK-). “In August 2010, two groups successfully passed into Phase II of the U.S. Navy Ship Donation Program” (Ref. JFK-). “Rhode Island Aviation Hall of Fame, Providence, Rhode Island” (Ref. JFK-). “USS John F. Kennedy Museum, Portland, Maine” (Ref. JFK-). “On 19 January 2011 the Portland, Maine City Council voted 9–0 to not continue with the project to bring the ship to Maine” (Ref. JFK-). “Current plans as of September 2014 have the Rhode Island Aviation Hall of Fame working to secure Pier 2 of the Naval Station Newport. These developments come after the former USS Saratoga (CV-60) was sold for scrapping earlier in the year after years of being moored in Newport” (Ref. JFK- & JFK-). “With the advent of the nuclear carrier, Kitty Hawk and John F. Kennedy are the last two candidate carriers to become museum ships as they have conventional propulsion. Nuclear carriers, such as Enterprise and the Nimitz class, require extensive deconstruction to remove their nuclear reactors during decommissioning, leaving them in an unsuitable condition for donation” (Ref. JFK-[31 & JFK-32). George H.W. Bush is the 10th and final Nimitz-class aircraft carrier. Commissioned Saturday, Jan. 10, 2009, during an 11 a.m. EST ceremony at Naval Station Norfolk, Va. The 41st President of the United States George H. W. Bush christened the CVN-77 at the christening ceremony at Northrop Grumman Newport News Shipyard on 7 October 2006. The Island lifted into place on 8 July 2006. On 26 January 2001, Newport News Ship building signed a $3.8 billion deal with the Navy to build CVN-77. Keel was laid down on 6 September 2003. The Navy took delivery of its newest aircraft carrier, USS George H.W. Bush (CVN-77), from Northrop Grumman Shipbuilding May 11. “On 16 June 2006, an amendment added to the National Defense Authorization Act for 2007 proposes that CVN-78, the first ship in the CVN-21 class, be named for the 38th president "Gerald Ford. On 5 September 2006, The Naval Sea Systems Command (NAVSEA) and the Program Executive Officer (PEO) held a signature and awards ceremony at the Washington Navy Yard to commemorate the certification of the ship specifications. “The Naval Sea Systems Command (NAVSEA) and the Program Executive Officer (PEO) held a signature and awards ceremony at the Washington Navy Yard to commemorate the certification of the Gerald R. Ford (CVN-78) specifications on 5 September 2006” (Ref. 76). “On 16 January 2007, held the official naming ceremony of the USS Gerald R. Ford (CVN-78), the first aircraft carrier in the Ford class of carriers. 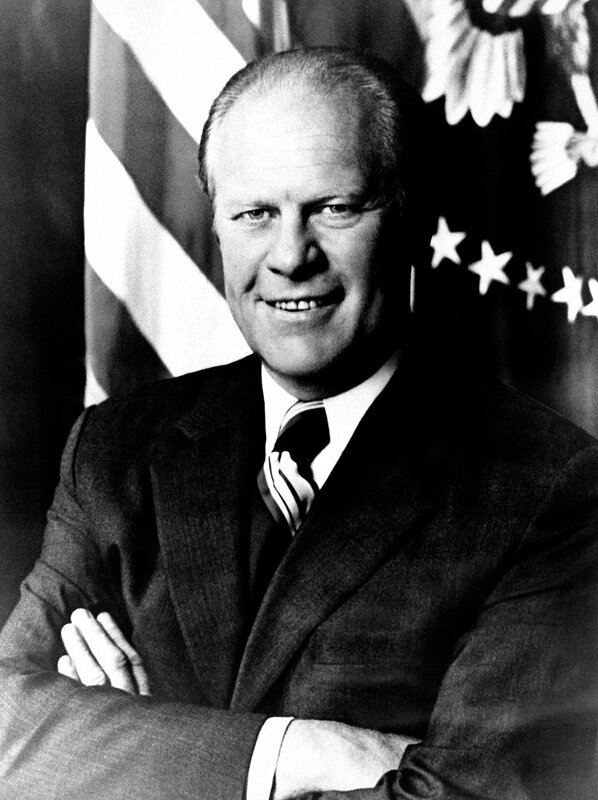 CVN-78 is named after Gerald Rudolph Ford, Jr. (1913–2006), 38th President of the United States of America (1974–1977). Remarks by Dr. Donald C. Winter, Secretary of Navy — Naming of USS Gerald R. Ford (CVN-78), Pentagon, Arlington, VA, Tuesday, January 16, 2007. NS027807d. Submitted by: Robert M. Cieri” (Ref. 9-SH). “The Navy awarded Northrop Grumman Shipbuilding a $5.1 billion contract to begin construction of the Gerald R. Ford (CVN-78) on 10 September 2008. The keel laying and authentication ceremony for Gerald R. Ford (CVN-78) was held at Northrop Grumman Corp.'s Newport News shipyard on 14 November 2009. USS Gerald R. Ford (CVN-78) launched, holding a Christening ceremony at Huntington Ingalls Newport News Shipbuilding in Newport News on 9 November 2013” (Ref. 76). “Advance construction of the CVN-21 project began on August 11, 2005 with the beveling of a 15-ton metal plate at Northrop Grumman Newport News' shipyards in Virginia. This metal plate was used in the construction of CVN-78. Advance construction took an estimated two years before construction began on the actual ship herself. This gave technicians and engineers the time needed to test and design the ship, and all the new technologies placed into the vessel. The keel of the first unit (CVN-78) was laid on 14 November 2009 and delivery to the Navy is scheduled for 2015, to replace USS Enterprise (CVN-65), inactivated in 2012 after 51 years of service. CVN-78 was officially named Gerald R. Ford, after the nation's 38th President, on 16 January 2007. On 10 September 2008 Northrop Grumman Corporation received a $5.1-billion, 7-year cost plus incentive fee contract award for detail design and construction of CVN-78. Second unit (CVN-79) is scheduled to start construction in FY2012 and slated to be placed in commission in FY2019. CVN-79 would feature several improvements over CVN-78. Third and final (?) unit (CVN-80), would be procured "a few years after" CVN-79 (estimated delivery in FY2023). Secretary of the Navy Ray Mabus announced, 1 December 2012 that she will be named Enterprise. The Gerald R. Ford-class aircraft carrier will be 1,092 feet in length and have a beam of 134 feet. The flight deck will be 256 feet wide, and the ship will be able to operate at speeds in excess of 34 knots. Enterprise will be built by Huntington Ingalls Industries-Newport News Shipbuilding in Newport News, Va.
“The beveling of a 15-ton metal plate kicked off advance construction of the newest class of aircraft carrier, the CVN-21 project, Aug. 11 at Northrop Grumman Newport News' shipyards in Virginia. The new carrier is designed to modernize the “flat tops” for the 21st century. Advance construction will take an estimated two years before construction can begin on the actual ship itself. This gives technicians and engineers the time needed to test and design the ship, and all the new technologies that will be put into the vessel. “We’re going to kind of mark [the occasion of] the first cutting of steel,” said Matt Mulherin, vice president of programs at Northrop Grumman Newport News. “We’re starting advance construction today, and it’s the construction needed to kind of learn your lessons, validate your capacity assumptions...see how things are working out in your new facility.” “Remember, this is the lead ship,” Mulherin added. “Historically, they take a little bit longer. There’s a little bit of a learning curve that needs to be learned and implemented.” Besides being larger than today’s Nimitz-class carriers, the new generation will switch the steam-powered catapults to electromagnetic catapults; redesign the island structure, which merges the separate island and mast of the old carriers into a single, smaller compact unit; and a newly designed nuclear power plant. These and other systems will be designed to maximize efficiency and reduce costs, manning and weight while enhancing the ship’s operational capabilities. “[The ship] will have improved capabilities over the Nimitz class, a class of ships that has proven very capable,” said Mike Petters, president of Northrop Grumman Newport News. “CVN-21 is designed for efficiency over the 50-year lifecycle while providing America with the kind of forward presence unique to aircraft carriers and so critical in today’s uncertain world.” The metal plate cut during Thursday's ceremony will eventually be used in the construction of CVN-78, the first aircraft carrier to be built under the CVN-21 project. Along with the first-cut ceremony, the shipyard held its grand opening for several new facilities to be used in the construction of the new warships. New facilities include a heavy-plate bay facility, a covered modular-assembly facility and others to protect employees and components from the weather, and additional cranes to allow modular pieces to be built more complete prior to attaching it to the rest of the ship” (Ref. 10-SH & Navy NewsStand - In-Depth Coverage - Story Number: NNS050812-13 - Release Date: 8/12/2005 1:57:00 PM - By Journalist 1st Class Donald P. Rule, Naval Media Center Mobile Det. 3, NEWPORT NEWS, Va. (NNS)). The aircraft carrier continues to be the centerpiece of the forces necessary for operating forward. In times of crisis, the first question leaders ask in a crisis is: "Where are the carriers?" Often the presence of an aircraft carrier has deterred potential adversaries from striking against U.S. interests. Aircraft Carriers support and operate aircraft that engage in attacks on airborne, afloat and ashore targets that threaten free use of the sea and engage in sustained power projection operations in support of U.S. and coalition forces. The aircraft carrier and its strike group also engage in maritime security operations to interdict threats to merchant shipping and prevent the use of the seas for terrorism and piracy. Aircraft carriers also provide unique capabilities for disaster response and humanitarian assistance. The embarked carrier air wing provides helicopters for direct support and C4I assets to support them and ensure aid is routed quickly and safely. The 10 Nimitz class aircraft carriers are the largest warships in the world, each designed for an approximately 50-year service life with one mid-life refueling. USS Nimitz (CVN-68), USS Dwight D. Eisenhower (CVN-69), USS Carl Vinson (CVN-70) and USS Theodore Roosevelt (CVN-71) have all completed their refueling complex overhauls (RCOH) at Newport News, Virginia, with USS Abraham Lincoln (CVN-72) having commenced RCOH in 2013. The next generation of aircraft carrier, the Gerald R. Ford class (CVN-78) was ordered in 2008 and is slated to be delivered in 2016 as the force structure replacement for USS Enterprise (EX-CVN 65) which inactivated in 2012. The Gerald R. Ford class is the future aircraft carrier replacement class for Enterprise and Nimitz class aircraft carriers. Gerald R. Ford (CVN-78) was ordered from Newport News Shipbuilding Sept. 10, 2008, and is scheduled to be delivered in 2016. The Gerald R. Ford class will be the premier forward asset for crisis response and early decisive striking power in a major combat operation. Gerald R. Ford class aircraft carriers and carrier strike groups will provide the core capabilities of forward presence, deterrence, sea control, power projection, maritime security and humanitarian assistance. The class brings improved warfighting capability, quality of life improvements for our Sailors and reduced total ownership costs. Each ship in the new class will save more than $4 billion in total ownership costs during its 50-year service life, compared to the Nimitz-class. The CVN-78 is designed to operate effectively with nearly 700 fewer crew members than a CVN-68-class ship. Improvements in the ship design will allow the embarked air wing to operate with approximately 400 fewer personnel. New technologies and ship design features are expected to reduce watch standing and maintenance workload for the crew. Gerald R. Ford is the first aircraft carrier designed with all electric utilities, eliminating steam service lines from the ship, reducing maintenance requirements and improving corrosion control. The new A1B reactor, Electromagnetic Aircraft Launch System (EMALS), advanced arresting gear (AAG) and dual band radar (DBR) all offer enhanced capability with reduced manning. The Gerald R. Ford class is designed to maximize the striking power of the embarked carrier air wing. The ship's systems and configuration are optimized to maximize the sortie generation rate (SGR) of attached strike aircraft, resulting in a 33 percent increase in SGR over the Nimitz class. The ship's configuration and electrical generating plant are designed to accommodate new systems, including direct energy weapons, during its 50- year service life. The Gerald R. Ford class builds upon the Navy's legacy of aircraft carrier innovation stretching back to the first aircraft carrier, USS Langley (CV-1) and continuing to the present day. The introduction of jet aircraft, angled decks and nuclear power were all innovations that kept the fleet relevant for Cold War needs. Gerald R. Ford continues the aircraft carrier history of innovation and adaptability that will enable her to serve our country for decades to come” (Ref. 4-SH). Builder: Huntington Ingalls Industries Newport News Shipbuilding Co., Newport News, Va. Date Deployed: May 3, 1975 (USS Nimitz). Unit Cost: About $8.5 billion in constant year FY 12 dollars. Propulsion: Two nuclear reactors, four shafts. Length: 1,092 feet (332.85 meters). Beam: 134 feet (40.84 meters); Flight Deck Width: 252 feet (76.8 meters). Displacement: Approximately 97,000 tons (87,996.9 metric tons) full load. Speed: 30+ knots (34.5+ miles per hour). Crew: Ship's Company: 3,000-3,200, air wing: 1,500, other: 500. Armament: Multiple NATO Sea Sparrow, Phalanx CIWS, and Rolling Airframe Missile (RAM) mounts. Builder: Huntington Ingalls Industries Newport News Shipbuilding, Newport News, Va.
Beam: 134 feet, Flight Deck Width: 256 feet. Displacement: approximately 100,000 long tons full load. Crew: 4,539 (ship, air wing and staff). Armament: Evolved Sea Sparrow Missile, Rolling Airframe Missile, CIWS. “Secretary of the Navy Ray Mabus announced today via video message at the USS Enterprise (CVN 65) inactivation ceremony that the third Gerald R. Ford-class aircraft carrier will be named Enterprise. Mabus selected this name to honor USS Enterprise (CVN-65), the Navy's first nuclear-powered aircraft carrier, which was inactivated today in Norfolk, Va. Commissioned in 1961, CVN 65 served for more than five decades. 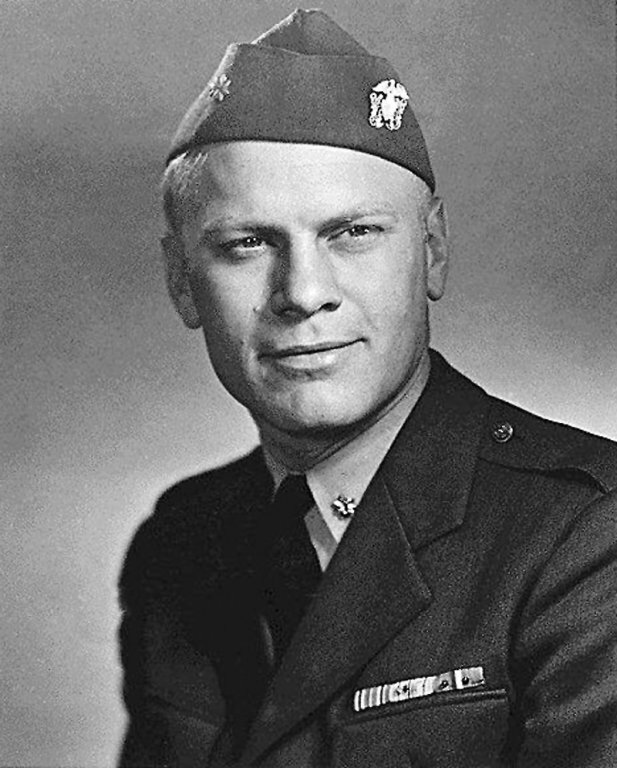 It participated in the blockade of the Cuban Missile Crisis, launched strike operations in Vietnam, and conducted combat missions in support of Operation Enduring Freedom. "The USS Enterprise was the first of its kind, and for 51 years its name has been synonymous with boldness, readiness and an adventurous spirit," said Mabus. "Rarely has our fleet been without a ship bearing the name. I chose to maintain this tradition not solely because of the legacy it invokes, but because the remarkable work of the name Enterprise is not done." USS Enterprise and subsequent Gerald R. Ford-class aircraft carriers will provide improved warfighting capability, quality of life improvements for Sailors and reduced life cycle costs” (Ref. 11-SH). FY 2018: Laid Down / FY 2023: Launched / FY 2025: Commissioned / FY 2027: FY 2027: replace USS Nimitz (CVN-68)” (Ref. 76). Energy Quest & U. S. Aircraft Carrier Deployment History, former Energy Quest National Energy Efficient Development Inc. (Oregon Registry Assumed Business Name (ABN). 109829598) books.